The annual meeting is a special time for co-op members to gather, share experiences, hear from co-op leadership and, perhaps most importantly, vote to elect your board members. This is an opportunity to learn more about the topics that impact you. Your annual meeting is also the occasion to exercise one of the greatest benefits of being an electric co-op member; voting for the upcoming year’s board of directors. While safe, reliable and affordable electric power is crucial to our mission, improving the quality of life for all members is at the core of what we do every day. 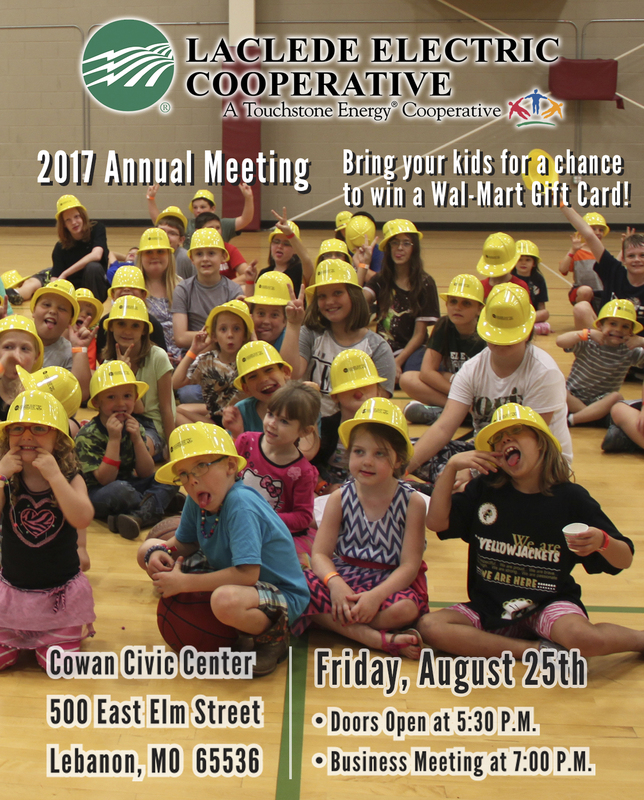 If you have not attended the annual meeting in the past or if is have been a few years, we encourage you to take the time to be with your fellow co-op members. Laclede Electric is connected to you by more than just powerlines. We are your neighbors, and we look forward to seeing you at your annual meeting.